As the owner of a Kindle Fire, you’re probably aware that your device is updated regularly by Amazon. These updates add functionality, enhance security and improve device stability, and are sent to your device via wireless networking, “over the air”. However, what if you don’t want these updates? 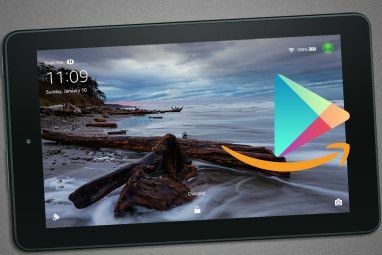 If you’re one of the many Kindle Fire owners that have rooted their device in order to add functionality (such as access to Google Play) then you will want to prevent the update being sent to your Kindle Fire. Once an update is applied, it undoes the root! Fortunately, several apps can be installed on your Kindle Fire that can be used to prevent future Kindle Fire updates. 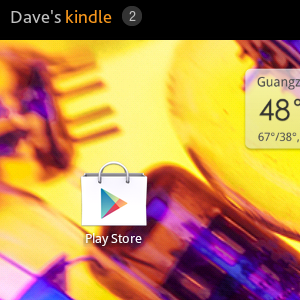 When you root your Kindle Fire, you gain access to files and folders that should normally be restricted. The term “root” comes from the name given to the level of access that is achieved; certain apps (such as file managers, for instance, and other software) require this level of access for you to use them, which is why we root our devices. 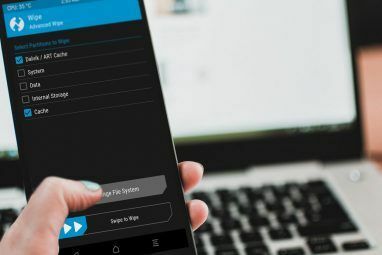 Rooting is a popular activity among owners of Android devices looking to extend their device’s capabilities (the Kindle Fire operating system is based on Android 2.3) much as jailbreaking is for iPhone users. When you update your Kindle Fire, the device downloads a new version of the operating system and applies this to your tablet. The result of this is that your previous efforts in rooting the device are then undone, meaning that you will have to go through the process again. The problem with this is that previous Kindle Fire updates have prevented the same rooting procedure from working a second time. While there are now tools that can be used to oversee the rooting process (thereby saving time) it is still wise to avoid future updates, at least until a rooting solution can be found for that version of the Kindle Fire OS. So if the updates to Kindle Fire are so important, is there any danger in ignoring them? Well, yes and no. Clearly Amazon has issued these updates to enhance your enjoyment of the media they provide for your entertainment (books, videos or music) but this doesn’t mean that the updates are necessary. After all, your Kindle Fire works already, without the latest update. Moreover, it works just as well while rooted! As you can see, while the updates are important they’re not vital. 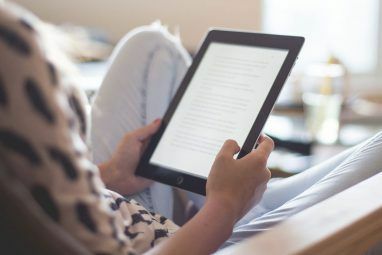 After all, not all Kindle Fire users will be connected to Wi-Fi all of the time; the nature of any eBook reader (regardless of whether it is also a tablet or not) is that it can be kept offline so that the owner can enjoy reading the books stored upon it. Therefore a Kindle Fire update is unlikely to be so vital that it will radically change the way in which your device works. If you have rooted your Kindle Fire and wish to prevent any future updates from undoing your hard work, you will need to block the updates from being downloaded and applied. The best way of doing this is with a firewall. If you have rooted your Kindle Fire you should be able to find DroidWall [No Longer Available], a free firewall app that requires root permissions. Once you have found the app, download and install to your Kindle Fire, and when all of this is done, launch the app which will open into the White List view. Here you will find a list of all services that require Internet access, with two columns for Wi-Fi and 3G. For your Kindle Fire you can ignore 3G (as this tablet is wireless only), so clear or fill the checkboxes in the Wi-Fi column as appropriate. Any app or service in the White List that is given access to the Internet will continue to work as normal. What you will need to do is prevent the Android Device Client Platform program from accessing the Internet where it will find updates for your tablet – so don’t check the boxes for this entry! After you have made your firewall white list choices, tap Menu > Firewall disabled to enable the utility. Have you rooted your Kindle Fire? If you have, you’re probably aware of how it can be undone by an Amazon Kindle Fire update. Fortunately, this can be avoided by employing a block, something that is best done using an Android firewall app. While there are certain implications of not updating your tablet when requested, the importance of retaining the root access to your device might outweigh this. Explore more about: Amazon Kindle, Amazon Kindle Fire, Android Rooting. I just bought the new Galaxy S8 and was going crazy trying to eliminate the suppliers feature for previous websites visited as well as deleting my browsing history. Tried EVERY online suggestion but I was running myself in circles. Then by exploring my phone, found this. Open Google, not Google Chrome. Hit the menu bars in the upper left corner then hit settings. A long list of apps appears. Uncheck the Chrome app and the Autocomplete app. Problem solved. Just a quick question that I've been searching all over the internet to find and can't. Figured I'd ask someone who seems to know a thing or two about the Kindle Fire after it's been rooted. I live in Canada, and was given the KF as a gift. I had to root it b/c the amazon app store won't let me use a Canadian address even for their free apps!! I don't really know anything about rooting, but I have the google play store and mobile1 as well. I don't have any books on it but now am interested. I have gift cards with Amazon and would like to purchase a kindle version ebook, can I get this onto my kindle fire in Canada? Do i need to install some ereader app to do so? Or must I get ebooks from other sources as well? wow I have a lot of friends that have kindle fires hopefully they will read this before they do anything ... shared it so they can !! Rooting doesn't always fully work either to install any program you want, sometimes you need to install things manually by remounting /system as rw which doesn't work on all kindles (I can't do it on mine for example).